Lucia enjoys being the BIG sister and shows Jerome the ropes on how to wrap your parents around your little finger. Although at times she feels unloved and want big kuddles. 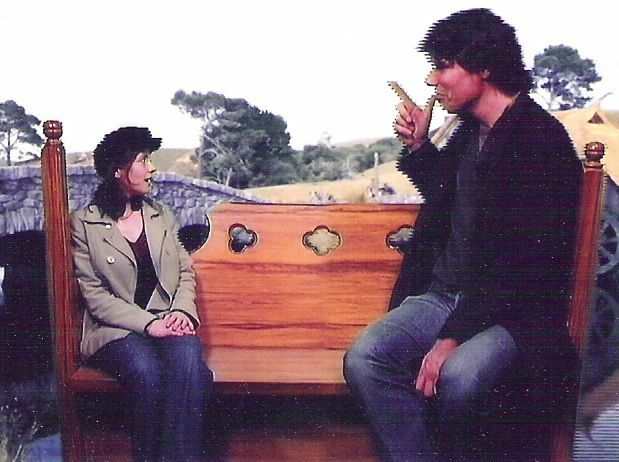 Photo (above) is taken at TePapa (National Museum in Wellington) were we visited the Lord Of The Rings exposition. This is how they shot scenes with Hobbits and Gandalf. Have a look at our trips within New Zealand. 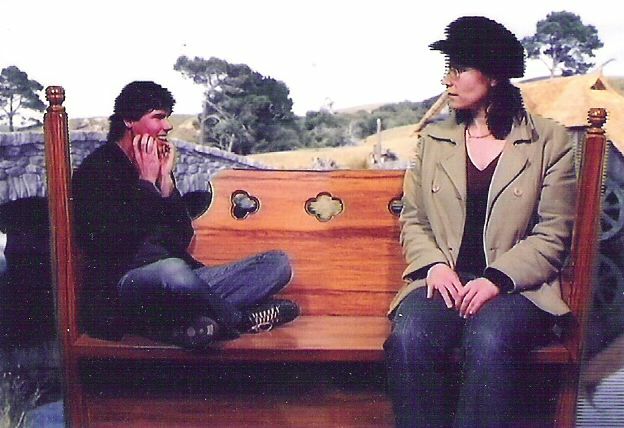 Click on the North or South Island pictures to see the photo's and commentary. Traveling stories: Singapore, Malaysia, Thailand, Myanmar and Australia.